This year marks 100 years since the end of World War One and the Council is commemorating this in several ways across the borough. The Council has purchased three commemorative benches as a lasting memorial to those who lost their lives in the Great War 1914-18. On 18 June the Mayor, Officers of the Council, family members and Father Clive Watts from Wigston Benefice attended a memorial service in Peace Memorial Park to dedicate a plaque to 3 brothers from Wigston who were all killed in WW1. The Forryan Brothers were all born in Wigston but did not live in the Borough at the time of their death so this was a fitting memorial to them. The service was attended by descendants of the Forryan brothers who had travelled from around the UK and overseas to mark this special occasion. The service then went on to dedicate the first of the Memorial Benches in the borough. The service was followed by lunch in the Council Chamber. On 4 August the Mayor, Councillors and Officers attended the dedication of the second bench in the borough at the War Memorial, St Thomas’ the Apostle Church in South Wigston, the ceremony was read by Rev. Christopher Johnson from St Thomas’. 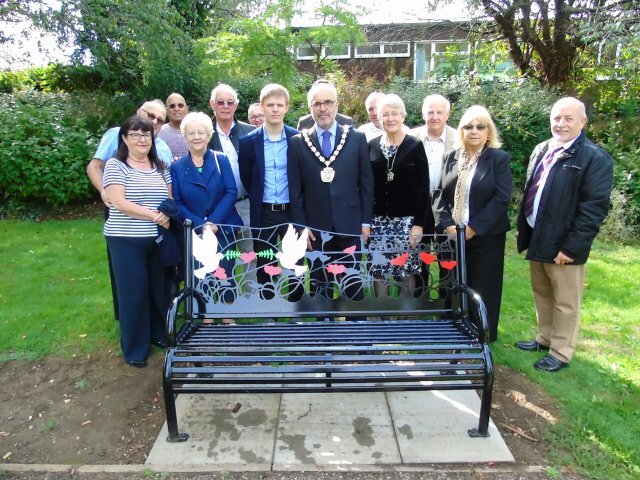 The third bench dedication was in Ellis Park, Oadby and was attended by the Mayor, Councilors, Officers and members of the public. The ceremony was read by the Mayor’s Chaplin, Rev. Tom Cox, from Oadby Baptist Church. Oadby - St Peter’s Church Parade starts at 9:45am with church service at 10am and wreath laying at 11am. Wigston - All Saints Church Parade starts at 10:30am with the church service at 10:45am and wreath laying and parade back to Bell Street. South Wigston - St Thomas the Apostle Church Service starts at 9:45am with wreath laying at 10:55am. The United Kingdom and its friends overseas will mark the day 100 years ago when the guns fell silent at the end of WWI. 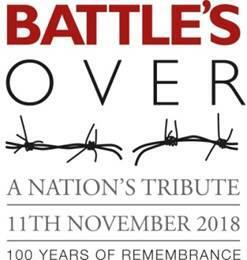 In remembering the sacrifice of millions of men and women, the council will be joining “Battle’s Over”, a unique series of events in the morning and evening, involving organisations and communities the length and breadth of our nation and many countries abroad. In remembrance of the end of the war and the millions who were killed or came home horrifically wounded, over 1,000 Beacons of Light will be lit throughout the United Kingdom at 7:00 pm. The event also commemorates the many men and women on the home front who underpinned the war effort by keeping the wheels of industry turning and bringing home the harvests. The beacons will symbolise the light of hope that emerged from the darkness of war. Pupils from all of the secondary schools in the borough have been invited to enter a poetry writing competition. The winner will be invited to light the WW1 Beacon at Brocks Hill on behalf of the Council. Pupils from all secondary schools in the Borough were invited to write a poem about what WW1 meant to them with the winner being invited to light the Beacon at Brocks Hill on behalf of the Council. We received over 45 poems in total, and the judging proved very difficult - so much so that the judges felt that a letter of recognition should be sent to everyone who submitted a poem. OWBC would like to thank everyone who took part.